Home Depot guy said that the pressure in the city has gone up due to check valves being installed, however I'm not so sure. He said to install an expansion tank on the cold water intake side, however, I'd like to understand what the problem is better before doing this. Another potential clue is that there was a broken water main at a house down the street, however, I don't think that this is contributing to the problem as our house pressure is 60 psi. 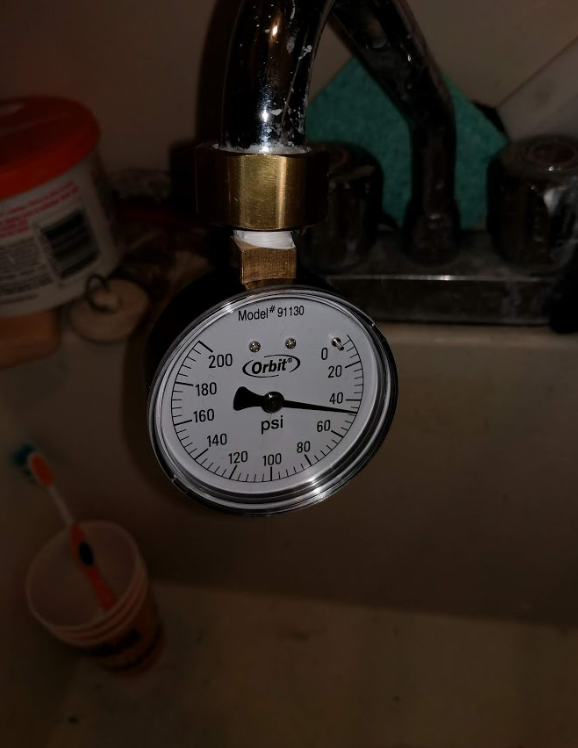 Is this pressure, temperature, tank related, or perhaps a failed temperature control valve problem (on the cold water intake)? What should I do to better diagnose this problem? Should I replace the temperature control valve on the cold water intake? Install a expansion tank? 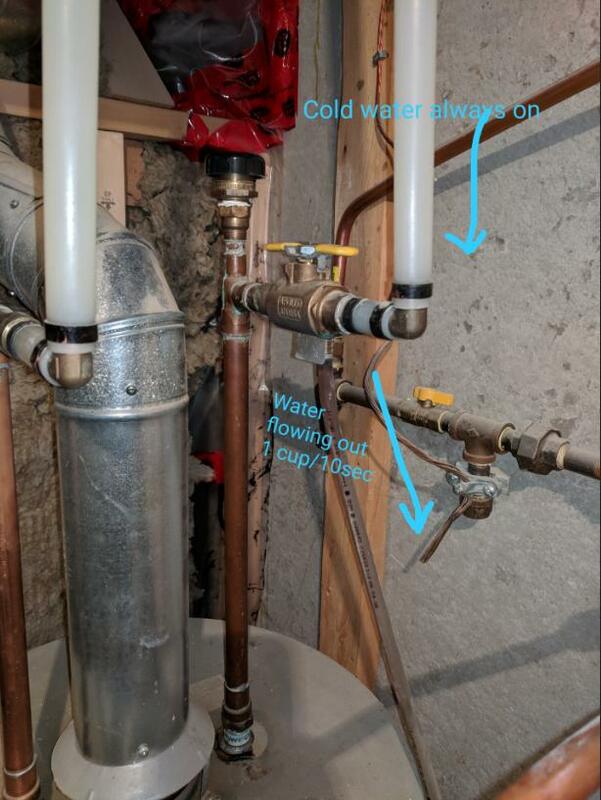 If so where would I install the expansion tank on my cold water side? edit: That "temperature control valve" is actually a thermal expansion valve. Apollo® 78RV Series Combination Water Heater Isolation Valve/ IAPMO approved Thermal Expansion Relief Device. 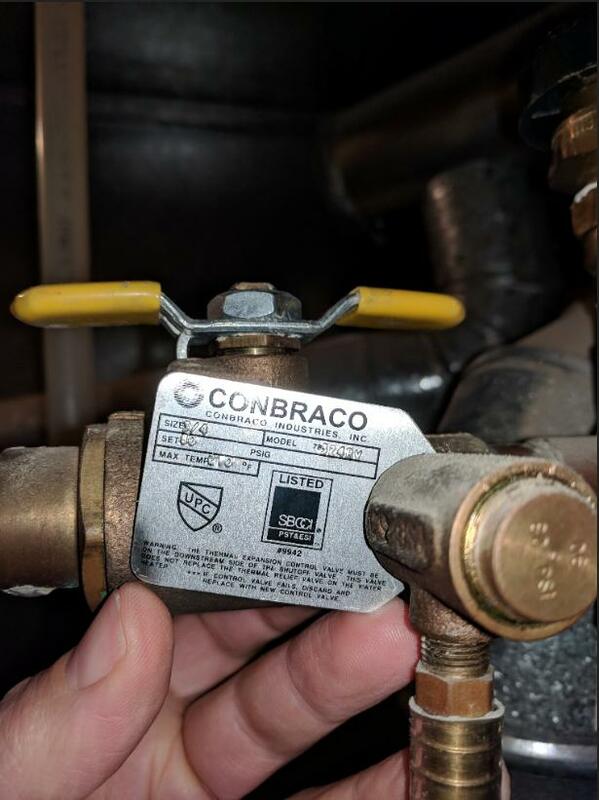 This combination water heater shutoff and thermal expansion relief valve is an ideal alternative to expansion tanks in residential plumbing systems. Update 2: I have run the cold and hot water tests for both at 5 minutes each and neither have stopped the flow of water out of the thermal relief valve. When I closed the valve completely, the water still flowed, however it turned to hot water after around 3-4 minutes. Does this mean I have too much pressure inside the tank? Replace valve? Install expansion tank? Replace water heater? Call in the pros? :) Many thanks again all. Please see attached photos for details. I'd try replacing the relief value that is screwed into the shut off valve to see if it solves the water flow issue. Sometimes once they are activated, they don't like to stop for varous reasons. As for the expansion tank, it should be installed before the water heater. They are normally installed near where the water comes into the building. Not the answer you're looking for? Browse other questions tagged plumbing water-heater hot-water or ask your own question. Is my expansion tank leaking in my oil water heater system? Water heater builds up excessive pressure only when reheating the tank. What's going on? 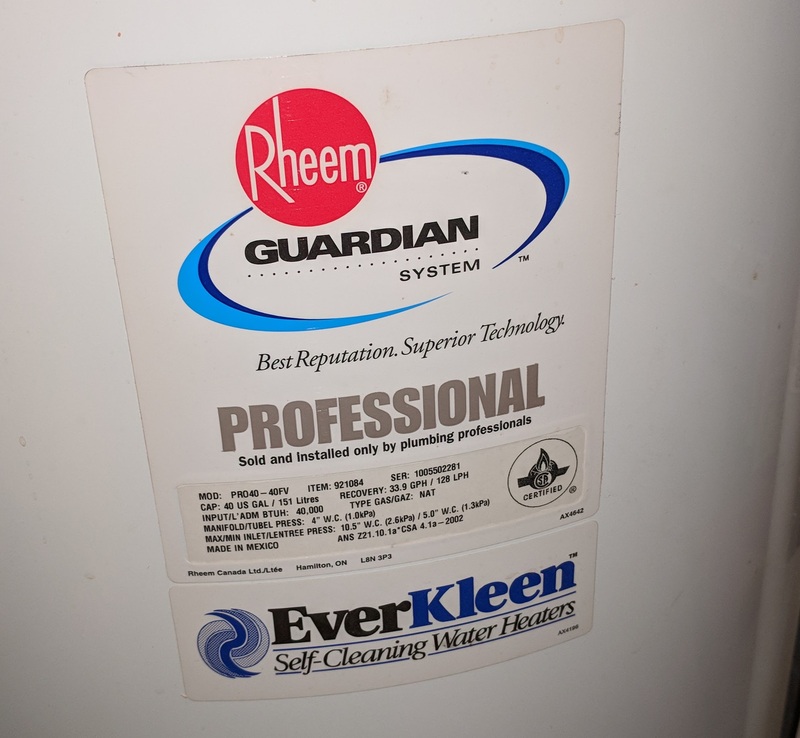 What could be causing water to drip from the relief valve of my new gas water heater, again? 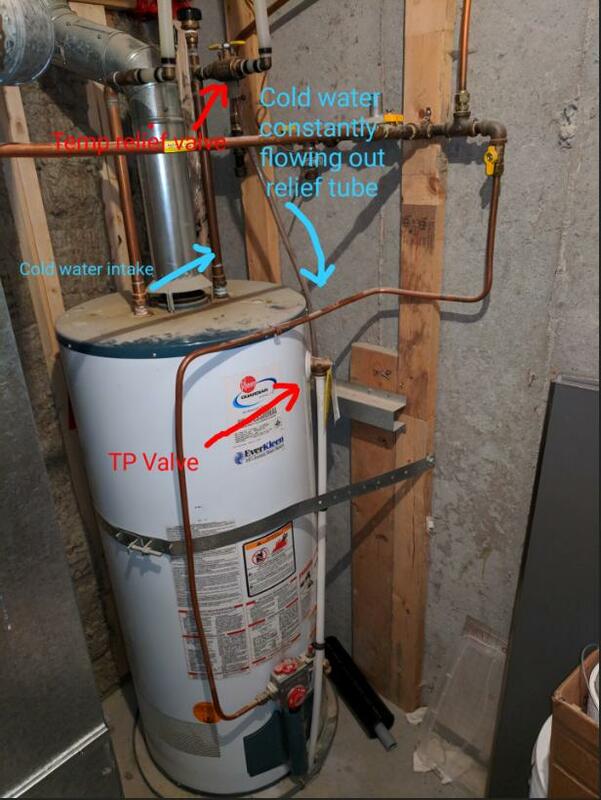 Is a tank-style water heater always under pressure?